The Foundation for Inner Peace is the original organization appointed by the scribe, Dr. Helen Schucman, to publish and distribute A Course in Miracles. To learn about the origin of the Course, and many inspiring stories/videos from the people who were there at the beginning this website is the place! The Foundation for A course in Miracles is an amazing resource for Course students and teachers. Ken Wapnick, P.hD., and Gloria Wapnick truly have contributed beyond measure to the understanding and application of A Course in Miracles. All their prolific work can be found here! My sister Cindy is a true inspiration. She is a gifted singer, songwriter and musician. Her music relaxes the mind and uplifts the spirit. She also has a Master’s Degree in Spiritual Psychology and offers counseling sessions. She travels the world with her husband Gary, lending her gentle teachings, meditations, and music to their workshops. 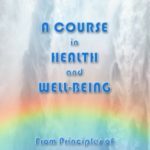 Her book A Course in Health & Well-Being can be found at amazon.com and I also have a link to it on this site. It’s great! My brother-in-law Gary is the best-selling author of The Disappearance of the Universe, Your Immortal Reality: How to Break the Cycle of Birth and Death and Love Has Forgotten No One. 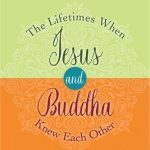 His latest book is The Lifetimes When Jesus & Buddha Knew Each Other: A History of Mighty Companions. He speaks all over the world sharing his experiences, his humor, and the powerful teachings of true forgiveness as taught in A Course In Miracles. To see my interviews with Gary on The 24th Hour, go to twentyfourthhour.com. I also chat with him on my True Forgiveness Teachings Podcast. This site is another fantastic resource of Course material. Bruce Rawles expertly navigates through the metaphysics of the Course in a light-hearted way! Check out my interview with Bruce on The 24th Hour at twentyfourthhour.com He also interviewed me for his site – click on the link above. He has many fun, informative discussions/interviews with teachers and students of ACIM such as Lyn Johnson.